I’m not a big fan of mechanical keyboard. The clicky-clacky sounds can get annoying for one’s co-workers after a while. The Qwerkywriter S mechanical keyboard has all the reason to bug a co-worker as this keyboard is a beautiful, elegantly designed, solid keyboard that you can pair up with your favorite Bluetooth device. Made by Qwerkytoys, the Qwerkywriter S is a successor to the successful (you guessed it) Qwerkywriter. In addition to the previous model the ‘S’ gains USB connectivity in addition to Bluetooth, working knobs (for scroll and volume control) and higher quality Cherry MX Blue clicky switches. 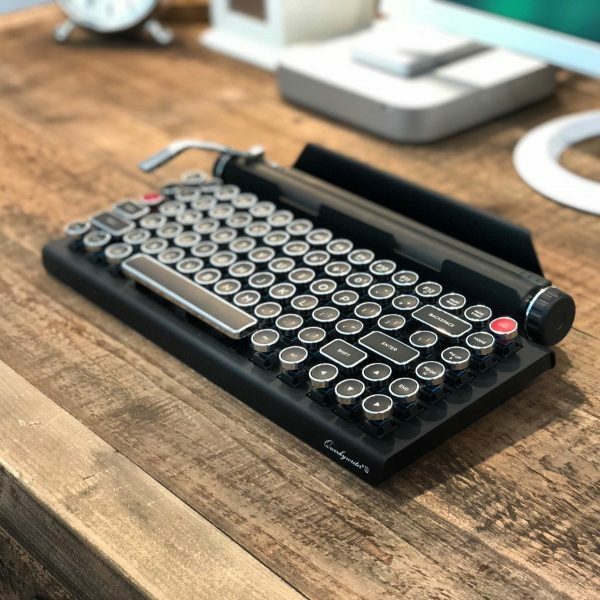 The Qwerkywriter is built like a tank, types wonderfully and also features a handy tablet stand for putting your favorite tablet device or phone on. Actually, forget about bringing this thing to work. 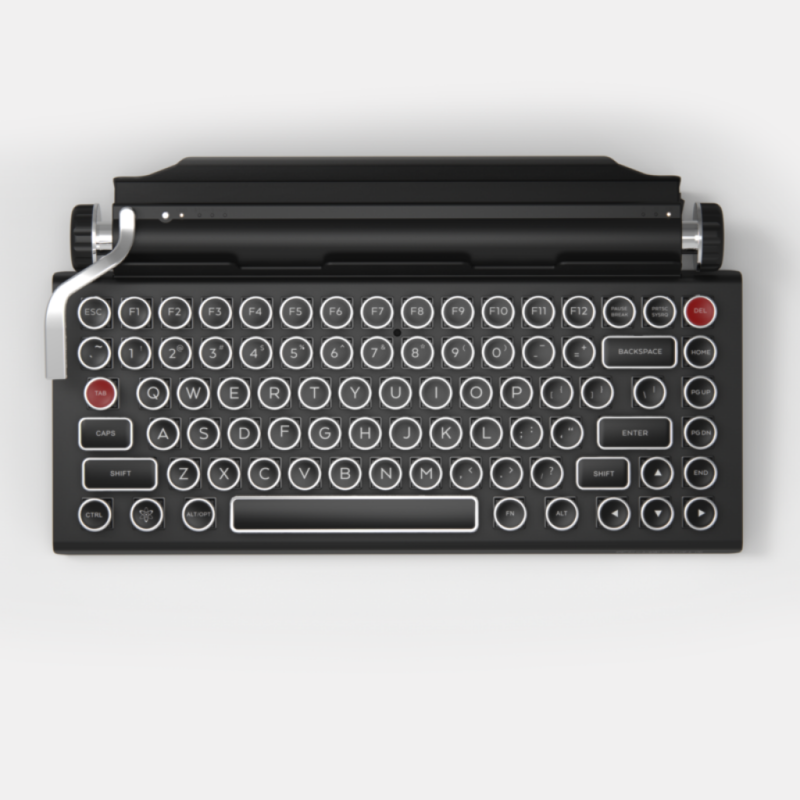 The Qwerkywriter deserves a proper place in your home office or on your kitchen table. You’ll enjoy typing on it so much you’ll finish that novel in no time! Where can I get the Qwerkywriter S? The Qwerkywriter S can be bought on the official website or Amazon. Note that at the time of writing the keyboard is currently on backorder for the US and scheduled to be in stock February 2019. Want to receive an e-mail when the Qwerkywriter S is available for sale or drops in price? Put your e-mail address in the form below.